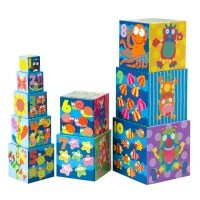 Find 10 awesome stacking cubes inside the sturdy storage box with handle! 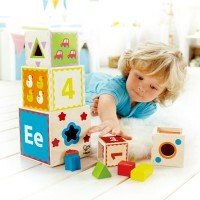 Stacking job for kids just got smarter! 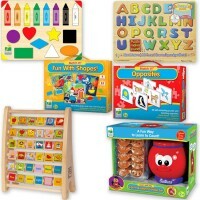 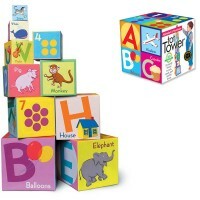 Now toddlers can stack cardboard blocks and learn shapes, colors and numbers! 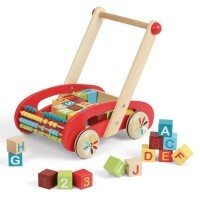 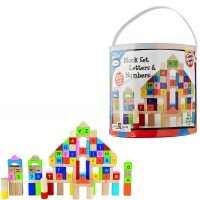 Numbers, Shapes & Colors Nesting & Stacking Blocks Set from Melissa & Doug's Classic Toys & Early Learning series features 10 pieces plus the storage box with carrying handle. 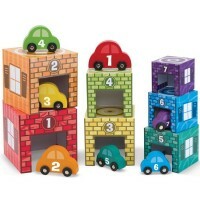 Nest the colorful blocks to compare sizes or build the tall tower of sturdy cardboard cubes right in your play room! 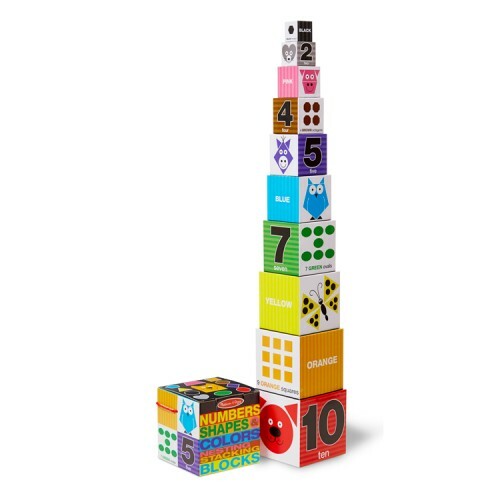 Each side of these brightly colored stacking blocks present either a color, or a shape, or a colorful animal, or a number, or the colorful counting dots. Go from the biggest number 10 block to the smallest number 1 block with this great developmental activity toy from Educational Toys Planet. 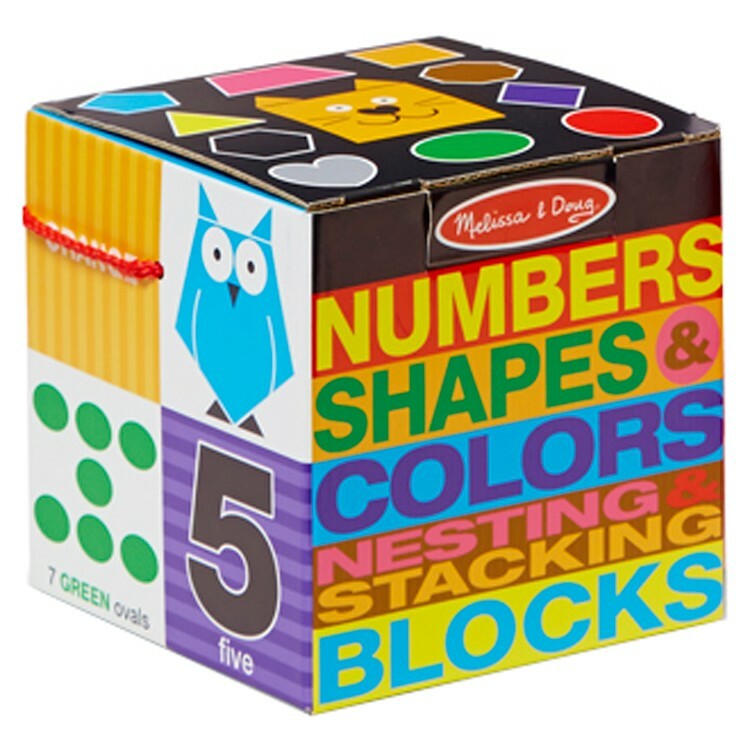 Numbers, Shapes & Colors Nesting & Stacking Blocks Set, as all Melissa & Doug's items, complies with all U.S. toy industry safety regulations. 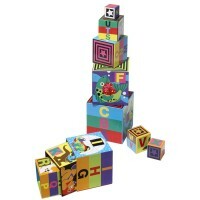 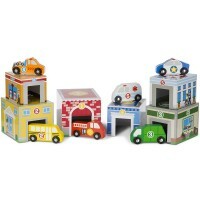 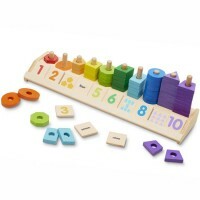 Dimensions of package 5.9" x 5.9" x 5.9"
Write your own review of Numbers, Shapes & Colors Nesting & Stacking Blocks Set.